It sounds like I’m exaggerating doesn’t it? Almost none of the interactivity in an interactive PDF actually works, even in Adobe Acrobat and Adobe Reader. *Video was supported previously in Acrobat and Adobe Reader, but it was dependent on the Flash Player (which no longer comes bundled with the Adobe apps). 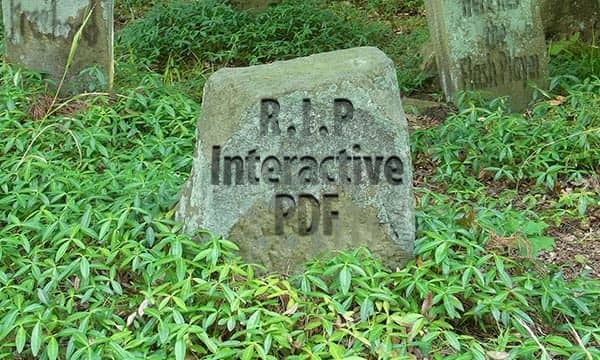 The introduction of smartphones and tablets—almost none of which now support Flash—and a slew of new PDF readers, essentially guarantee that interactive PDF features will not work when your clients view your PDFs. To see the breakdown of an interactive PDF in action, and to get a sneak peek at the solutions that I describe below, you can watch the following video. 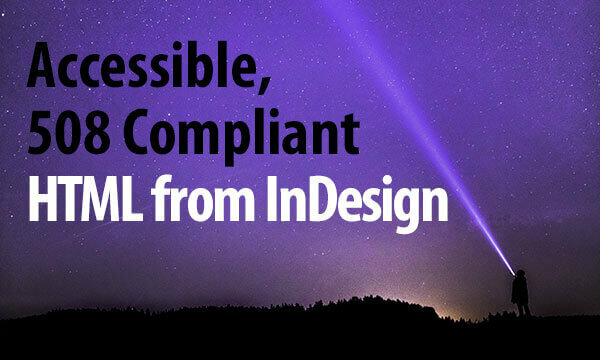 I often get asked about accessibility and 508 compliance. In this article, I’m going to demystify this topic by doing the following. The banner above this text was made with Adobe InDesign. Yes, InDesign. The page layout tool. Just because InDesign was originally conceived as a page layout tool, doesn’t mean you have to create things that look like books. In this article, I’ll show you how use InDesign’s interactive features and the in5 HTML5 export to create a web banner. This tutorial will show you how to add a simple password to your app or Web App created with InDesign and in5 (InDesign to HTML5). The Baker Framework is pre-built, open source library for Xcode. The framework allows you to easily convert HTML and publish it to native iOS (iPad and iPhone) devices as a standalone app or as Apple Newsstand issues. 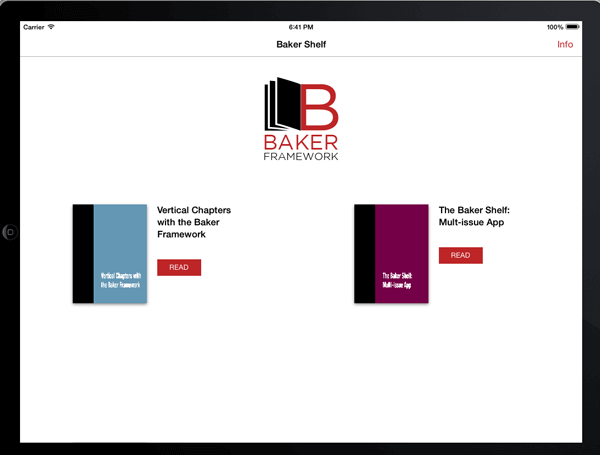 To build an app with Baker, you essentially drop your HTML into the books directory within the Baker project, update a few variables in Xcode, and you’re ready to publish. It’s well-documented that you can create multi-issue app to work with Apple’s Newsstand app (i.e., publishing a new issue each month). What is less well known, however, is that you can publish a multi-issue standalone app. To create this “catalog” page, all you have to do is drop multiple folders in the books directory. You now have a multi-issue app! How do you become the smartest Digital Publisher in the room? 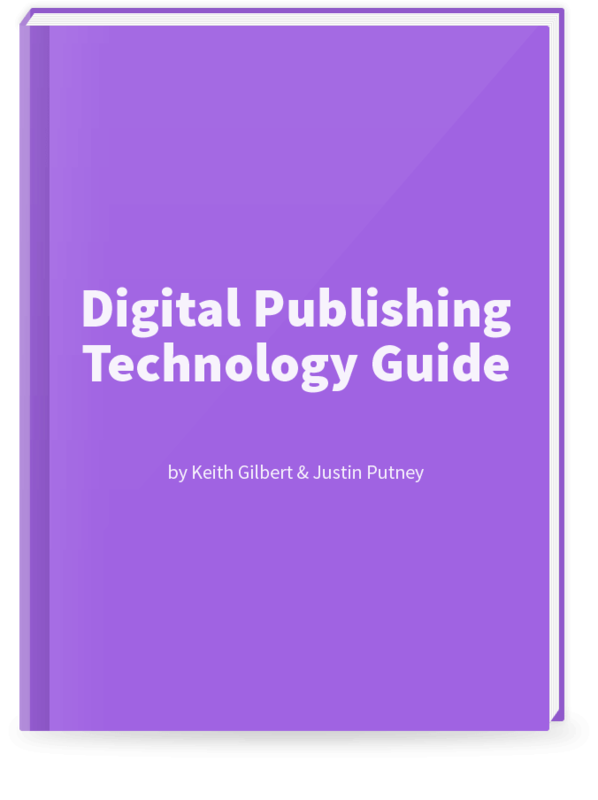 Download a quick, but detailed guide from industry experts Keith Gilbert and Justin Putney that will help you make the best decisions for your publications.